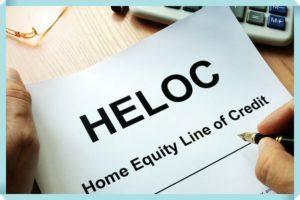 A HELOC is a revolving line of credit that is secured by your home. Cash is accessed according to when you need it and only up to the amount you need, as opposed to a fixed loan amount. Typically a HELOC has a 10-year draw period – this means you can access the funds for up to 10 years and the terms often allow you to make interest only payments. This can be helpful if you need a little flexibility in the early years of the loan due to irregular income streams. Once the 10 year period has been met, typically a mandatory repayment schedule begins for the following 20 years. Many home buyers are beginning to see the value in pairing a HELOC with a first mortgage to purchase a home and avoid paying monthly PMI payments.